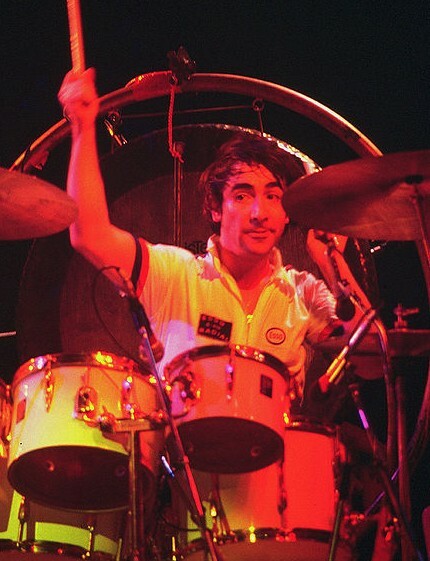 1…Keith Moon, The Who – It’s hard if not impossible to copy this man’s drumming style. He changed the Who completely and was their engine. I’m not a drummer so I really never cared like some drummers do if he played by the rules in drumming…Was he disciplined? No, but it worked well for him and for the songs. Songs like Bargain and Goin’ Mobile are great examples of Keith. 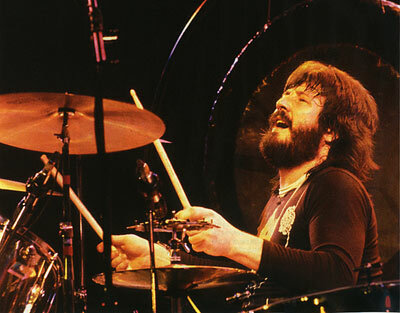 2…John Bonham, Led Zeppelin – Without Bonham, there is no Led Zeppelin as we know them. He was the ultimate groove drummer. He was a bricklayer and had hard hands and hit the drums incredibly hard but with a light touch also. 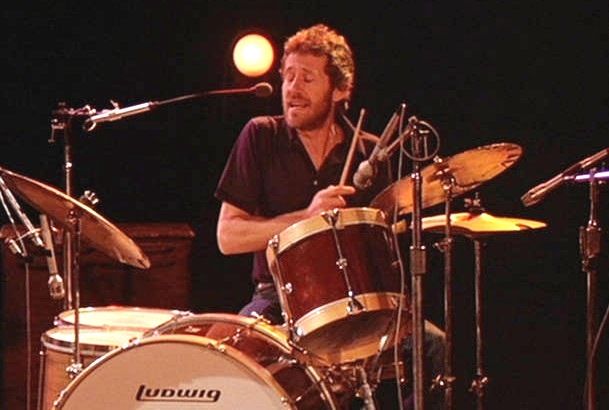 3…Levon Helm, The Band – Not only was he a great drummer but also a soulful singer. He brought something many drummers didn’t… a bit of the old south. 4…Charlie Watts, Rolling Stones – Charlie and Ringo made their respective groups swing. Charlie can play blues, rock, big band, and jazz. Charlie and his rhythm section partner Bill Wyman were overlooked being in the same band with Mick and Keith. On top of his drumming skills…Charlie grounds the band much like Ringo did for the Beatles. 5…Ringo Starr, The Beatles – He was not Moon or Bonham in flash but he played exactly what was needed…He could have gone overboard and the songs would have suffered. He played for the song. Some have called him the human metronome. I cannot imagine any other drummer for The Beatles. His tom tom work on Sgt Pepper alone is excellent. 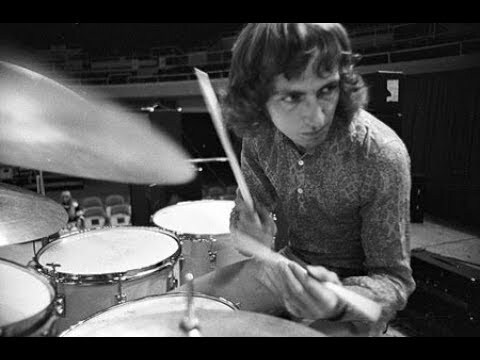 6…Mitch Mitchell, Jimi Hendrix Experience – Any holes left in Jimi’s music would be quickly filled in by Mitch. He was a jazz drummer who fused it into rock. 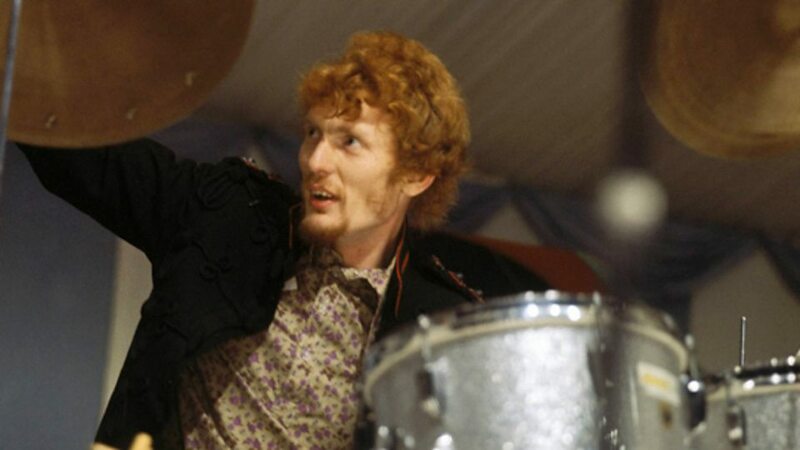 7…Ginger Baker, Cream – If this was a list of “likable people” Ginger would not be in the top 1000 but his drumming was some of the best of the sixties and I’m sure he would say “ever”… He was as big of part of Cream’s sound as Clapton or Bruce. 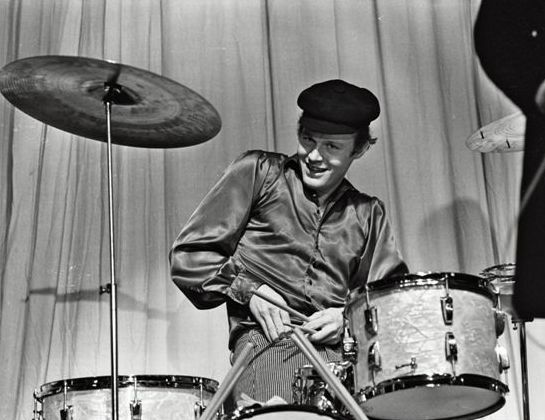 8…Bobby Elliot, Hollies – Drummer from the Hollies that other drummers have admired. He hit the drums hard and his fills were great… He is often overlooked but he is always spot on. 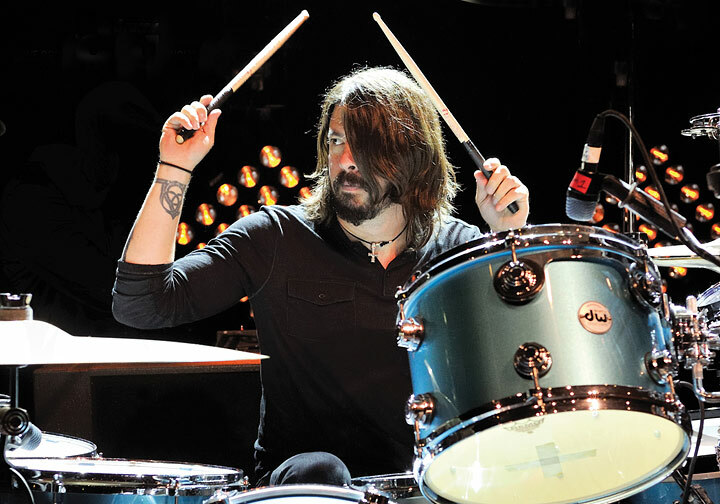 9…Dave Grohl, Foo Fighters, Nirvana – He can play anything… He fuels those Nirvana songs…and is really great at whatever instrument he plays. 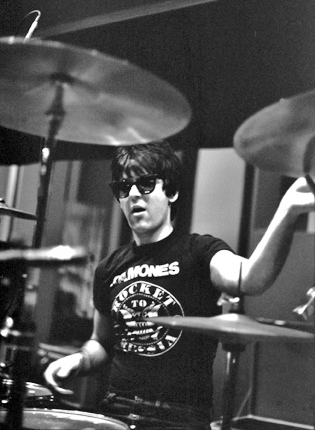 10…Clem Burke, Blondie – An exciting drummer that was heavily influenced by number 1 on this list. He has played with Pete Townshend, Bob Dylan, Iggy Pop, and David Bowie. Gene Krupa, Buddy Miles, Mick Fleetwood, Max Weinberg, “D.J.” Fontana, Benny Benjamin, Stewart Copeland, and Hal Blaine. Yes, I know… No Neil Peart…yes he is a great drummer…just not my style of music.